This jacket stands out by it quilted parts on the front panel, hood and sleeves. 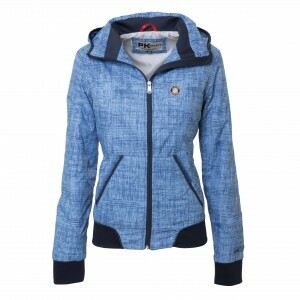 The jacket is made of quickdrying stretch material and features a detachable hood and striped lurex tape inside collar. Fancy metal front zipper. The 3D square stepped fabric has a light shimmer effect. It makes a casual appeal and offers great comfort. 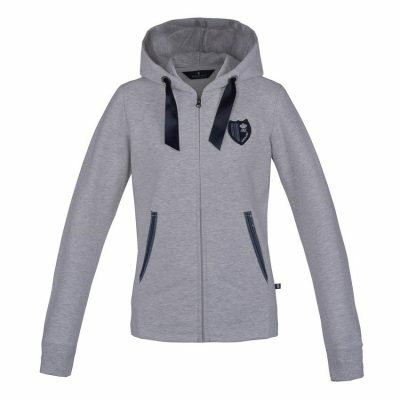 The jacket is adorned with silver plated elements shown in the metal zipper and press buttons. Collar, sleeve- and bottom cuff are made of stretchy rib fabric. Stretch fabric, breathable & wicking. 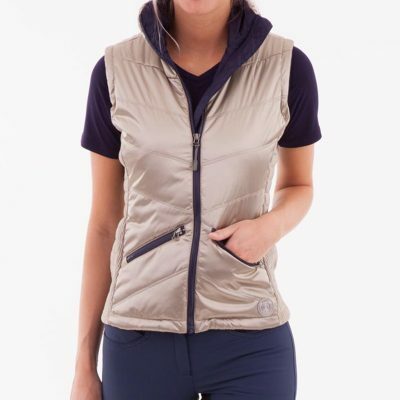 Perfect for a layer look.This waistcoat can be combined very well and is ideal for outdoor activities.The style hasTechnostretch side panels (DTM) for a slim fit. The armholes are finished with elastic tape. Take-away bag construction inside, usable by back part zipper outside. Striped lurex tape inside collar. Colour B179 feature a light glitter finish. Breathable, lightweight & thermally insulated. The look of this fashionable jumper will have you longing for winter. Its knitted colour blocking pattern on the front will have all eyes turned your way. The slanted zipper, which is partly integrated in the ribbed neckline, is a nice accent. A ride at dawn could be a mystical experience. This quilted waistcoat keeps you warm when the fog mist is still clinging to the ground. 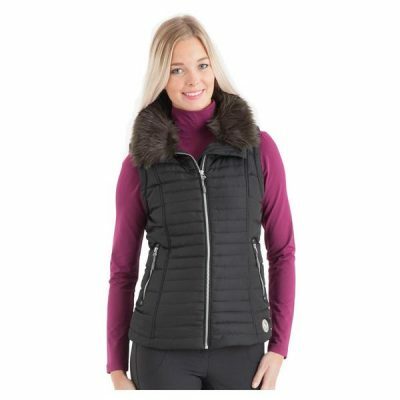 Its collar is lined with soft artificial fur, which is detachable as well. 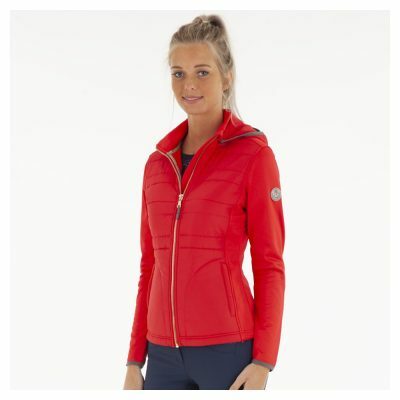 Windproof, thermally insulated, lightweight & breathable. Unisex short vest with standing collar. Clo-i padding. Rib in side panels. Elastic band on hem. Breathable and water repellent. This bomber jacket is pervaded with the feeling of summer and the look of ultramodern flair. It has a wonderfully light, melange texture, festooned with contrast striped ribbed fabric. Look your best whatever the temperature. 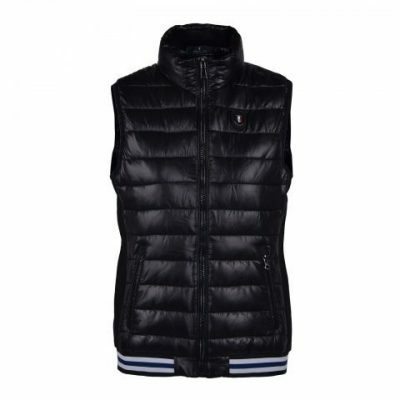 This quilted body warmer looks gorgeous over a polo, shirt or knitted jacket. The Light Gold fabric has a slightly shimmering finish.